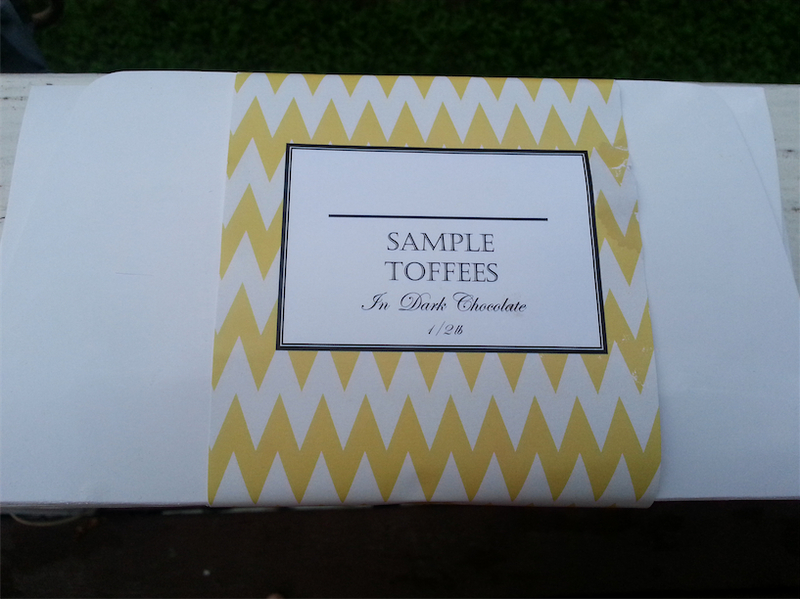 Review: Indie Candy Toffees – Is It Vegan? Have you ever tried an “all natural,” “vegan friendly” candy? Many taste like shiny cardboard. If you’re lucky, you’ll get one that tastes like sweet, shiny cardboard. It’s very hit or miss, especially vegan chocolate. But that doesn’t stop me from trying every one I come across, and boy, am I glad I came across the Indie Candy toffees. They’re a small time candy company out of Alabama doing things the RIGHT way! 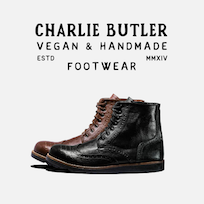 Dairy free, Gluten free, soy free, nut free, egg free, all natural. You can’t beat that! I received a variety pack (editor’s note: this was a free sample offered to me). Each toffee is enrobed in dark chocolate. The good stuff too. The chocolate is delicious. Here were the flavors, in my favorite order. Mint Toffee – This was a fun one. I thought it tasted like a candy cane dipped in chocolate. My wife thought it tasted like a thin mint. It was delicious no matter what you called it. Big fan. Black Russian Toffee – as a non drinker, I had no idea what a Black Russian was, but I knew I liked this flavor. Chocolate with a generous helping of coffee. The espresso dusting on the top really set it off. This was a keeper. Fleur De Sel Toffee – chocolate and salt. You can’t go wrong. Not even a little. The mix of salty and sweet is such a winner in my book. “Fruit” Toffee – I’m not exactly certain what flavor this was. It was unmarked, but was topped with a dried fruit. It could have been mango or maybe peach. It was tasty, but I’m not one to mix citruses and chocolate. They just don’t meld for me. 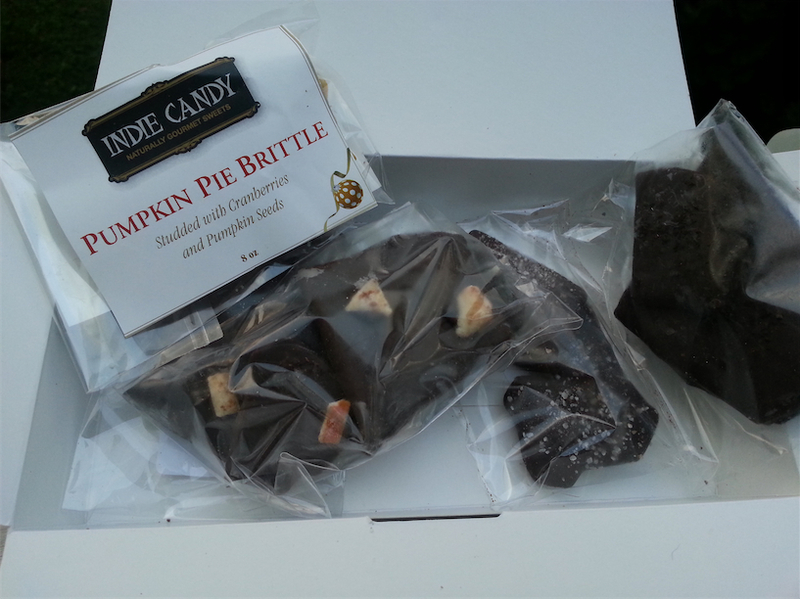 Pumpkin Pie Toffee – this was definitely my least favorite. Which is a bummer because it was the one I was most looking forward to eating. This one was not dipped in chocolate, but rather topped with cranberries and pumpkin seeds. Sadly, it tasted like my grandmother’s bowl of ribbon candy two months after christmas. Egad. Honestly, the first three were tied for number one in my book. I liked them all equally. For those curious about the ingredients, check out the image below. You know it’s good when you can recognize and pronounce EVERY ingredient. And they kept it basic, I like that. One note, not all of their candy is vegan. 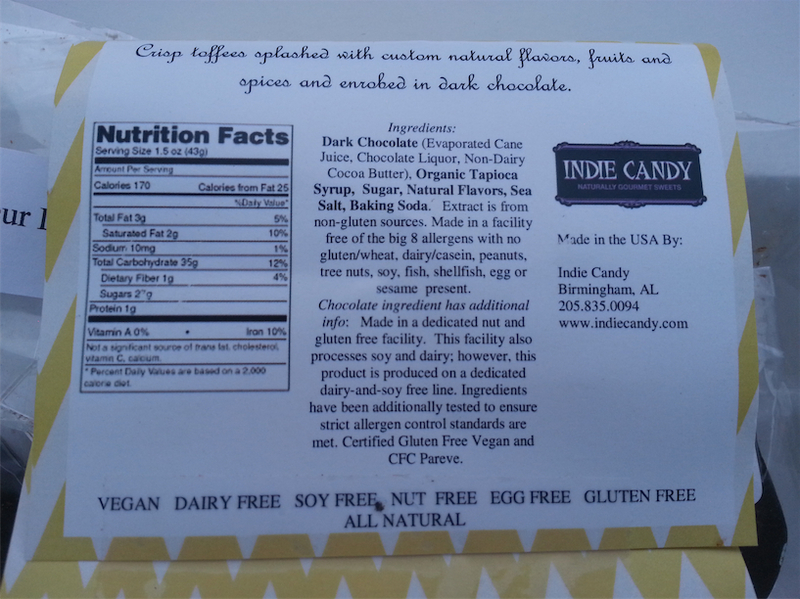 Indie Candy caters mostly to people with allergies. Vegans seem to be a new market for them. I’d suggest scooping up the vegan stuff and begging, pleading and cajoling for more vegan options. If you are interested, you can order a batch for yourself at indiecandy.com/. 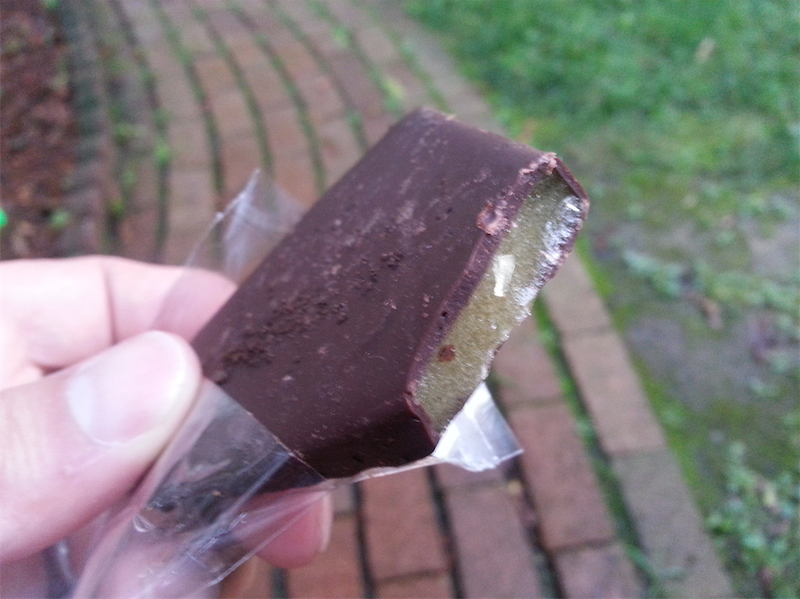 ← Is Gellan Gum Vegan?